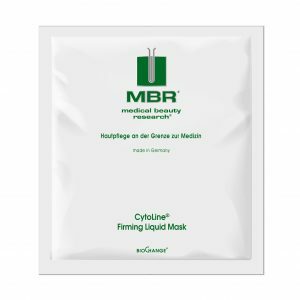 A multi-regulating intensive treatment for particularly fast-acting and sustainable skin-repair. The unique conditioning effect is immediately noticeable. Thanks to the highly-dosed serum, with its epidermal and dermal effect, the skin already feels younger, fresher and noticeably smoother directly after application. Mornings and evenings. 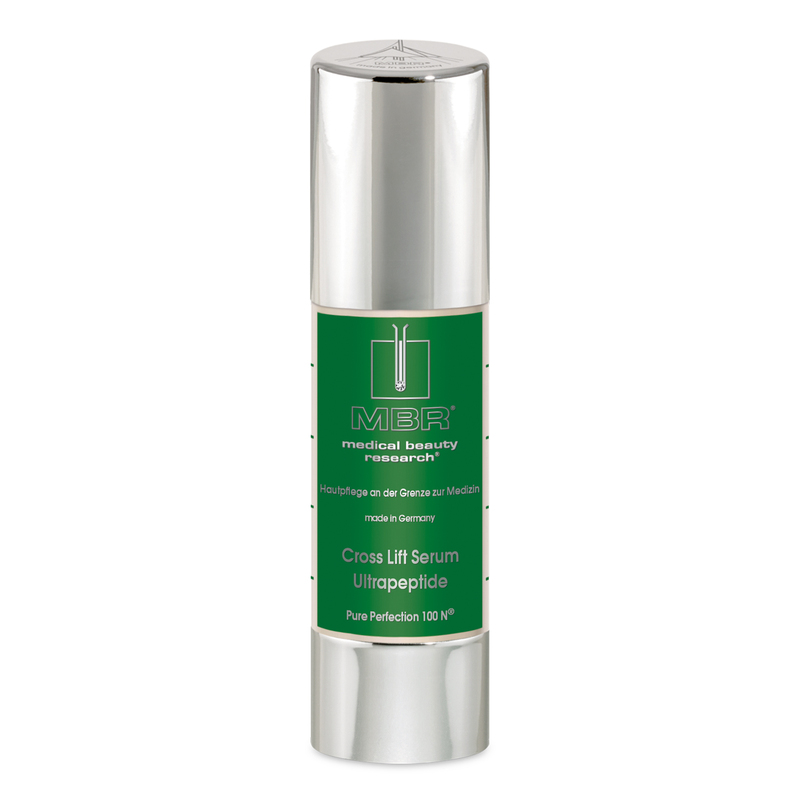 After cleansing and opening (Enzyme Cleansing Booster), apply Cross Lift Serum Ultrapeptide to the face and massage in gently. Afterwards, apply the recommended MBR final skin care products. After completing the treatment and if the skin displays pronounced vertical lines and wrinkles around the mouth as well as distinctive wrinkles between the eyebrows and crow’s feet, it is recommended to apply a drop of Cross Lift Serum Ultrapeptide above the lip contour as well as to the previously mentioned zones, by using the fingertips. 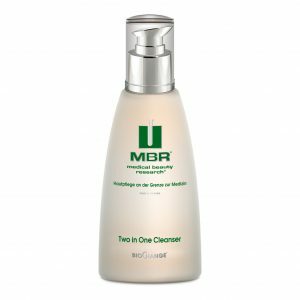 This significantly increases both the skin’s smoothness and firmness.